At a little after 5 pm on 15 September 1975 George Ibor, Warrant Officer, 2nd Class, of the lst Battalion Pacific Islands Regiment, stepped into the centre of the Hubert Murray Stadium in Port Moresby. A military band, accompanied by the percussion of a thousand clicking camera shutters, played Sunset as Warrant Officer Ibor lowered the Australian flag, folded it and handed it to Sir John Guise, the Governor-General of Papua New Guinea. Australian colonial rule in Papua New Guinea had ended. Sir John stressed that the flag was being lowered and not torn down, and that the years of transition from Australian rule to independence had been happy and peaceful. Sir John Kerr, the Australian Governor-General, taking the liberties with history that such occasions permit, asserted that Papua New Guinea and Australia had by and large worked in harmony, and had thus avoided the policies and relationships which had proved so tragic elsewhere. A lone letter in the Papua New Guinea Post-Courier disagreed, and suggested that the Australian government could be sued for fifty years of exploitation in Papua New Guinea. The festivities continued on 16 September. A large crowd gathered at Independence Hill where, at 10:25 am, the red, gold and black flag of Papua New Guinea was ceremonially raised so that it towered over the flags of other countries. A rainmaker employed by the separatist Papua Besena Party secured some unseasonally cloudy weather and even a little early rain, but failed to disrupt proceedings. The VIPs moved on to a packed parliament building, where Prince Charles read a goodwill message from the Queen, and officially opened the First National Parliament. He looked to a future of promise, opportunity and individual freedom, and reminded the elected representatives of the great burden of responsibility which they had shouldered. Some of the members of parliament immediately complained to the press of delays in receiving their pay rises. The action moved back to the Hubert Murray Stadium where a crowd of 14 000 witnessed a long and colourful ceremony during which the country's political and legal leaders pledged their allegiance and loyalty to the independent State of Papua New Guinea, and Prime Minister Michael Somare gave the Constitution to the Governor-General, Sir John Guise. From the vantage point of Sydney, a member of parliament and the leader of the separatist Papua Besena Party, Josephine Abaijah, issued a statement to the media accusing Australia of grooming Somare to be a dictator. Other international messages brought goodwill and congratulations to Somare and Papua New Guinea. Somare held a press conference where he preached the virtues and necessity of pulling up our socks to a largely sockless nation. He also stressed a commitment to self-reliance while Australian Prime Minister Gough Whitlam gave a categorical and unequivocal assurance that Papua New Guinea would have first call on Australias aid program. Some VIPs made brief airstrip to-cocktail-party visits to provincial celebrations, while others jetted out within twenty-four hours of first landing. Reports from throughout the country indicated that the celebrations marking Papua New Guinea's passage to independence had passed with little trouble. People returned to their villages, put away their spears, kundus (hand drums) and bilas (finery), removed their body decorations and recommenced the familiar daily round. What would independence bring to them? Their ancestors, in fact, had experienced thousands of years of independence before the advent of European colonialism. Even before the European discovery of the island of New Guinea, Chinese and Indonesian seafarers had enjoyed several centuries of sporadic trade with coastal peoples of the West, but had made only the most superficial of impacts. The Europeans arrived in the sixteenth century, not because they had heard of some New Guinea Eldorado but as a by-product of the struggle for control of the spice trade from the Molucca Islands to the west. Thus, Portuguese and Spanish navigators encountered New Guinea as they either overshot the Moluccas or skirted New Guinea en route to Mexico. One of them, Ynigo Ortiz de Retes, named the huge island New Guinea, either because he thought the inhabitants resembled those of African Guinea or because the two places were antipodal. The cartographer Mercator placed the name Nueva Guinea on his world map of 1569, and it has stayed there. Other voyagers, notably Dutch and British, passed by and charted New Guinea and its neighbouring islands during the seventeenth and eighteenth centuries, but no European nation was in a great hurry to lay claim to or to colonise New Guinea. It was only in the late nineteenth century that the colonial action really began. The Dutch became agitated at the growing frequency of British voyages in eastern New Guinea waters, and laid claim to the entire western half of the island, what is now the Indonesian province of Irian Jaya [emphasis added]. The Dutch had no administrative presence in their territory until 1898, and even by 1937 Dutch control was 'slender'. Meanwhile other unofficial and uninvited visitors began arriving in what is now Papua New Guinea. European missionaries came to convert the natives and brought other South Pacific islanders to help them. Traders sought coconuts, pearl-shell and bêche-de-mer (an edible sea slug). A bogus French nobleman, the Marquis de Rays, brought one thousand European migrants to a South Sea idyll where conditions were so harsh and the colonisers so unsuitable that most perished and only seventy made the return trip to Europe. The whisper of gold produced prospectors rapidly but gold slowly. The need for labourers on the plantations of Queensland, Fiji and Samoa brought blackbirders, who cruised the islands looking for their human cargoes and securing them with whatever force was deemed necessary. A few planters tried their hand at tropical crops. Naturalists, and even an aristocratic Russian anthropologist, also joined those coming to New Guinea. They were a diverse bunch, united only by their desire to get something from New Guinea, be it gold, land, resources, labour, converts, or simply information. Their impact, while considerable on a few coastal people, was minimal in general. In 1880 most Papua New Guineans had neither seen nor heard of the white Europeans. It would be several decades more before they had this dubious privilege. Towards the end of the nineteenth century the imperial powers of Europe were engaged in the final scramble for overseas territories. Having claimed most of the available world and drawn the appropriate lines on maps to suit European convenience, the imperialist nations looked more closely at the island of New Guinea. The Dutch, of course, had secured half of the island in mid-century. Now the Germans, latecomers to the colonial business, wished to consolidate further their territorial acquisitions in the South Pacific, and found New Guinea an eminently suitable piece of real estate. Their motives were commercial, and they made no pretence of annexing territory to protect or civilise the natives. The Germans wanted labour for their other South Pacific possessions and for the enterprises which German settlers would establish in New Guinea. Thus, a group of Germans signed a treaty with ten illiterate men from Bogadjim and some from neighbouring Madang in October 1884. This ritual somehow authorised German ownership and control over the north-eastern part of the island of New Guinea, some 233 000 square kilometres of territory. Meanwhile, the British were active to the south. Already having an empire upon which the sun never set, Britain was unenthusiastic about adding to it. However, her Australian colonial subjects were most uneasy about having an aggressive German or other European neighbour immediately to the north. Pressure from Australia forced Britain to declare the 223 000 square kilometres of territory which constituted the south-eastern part of New Guinea a British protectorate. Commodore Erskine gathered a few chiefs, and took them to Port Moresby, where in November 1884 he informed them that they they were now under the protection of Her Majesty's Government and so had nothing to fear from evil-disposed men A few minor elements of confusion over boundaries on the colonial map of New Guinea were settled by bureaucrats and politicians in distant Europe. The agreed boundaries demarcated territory, most of which no white person had ever seen. Most of the indigenous inhabitants were oblivious to these changes, while even the treaty signatories in Madang and the Papuan leaders in Port Moresby had minimal understanding of the events in which they had participated. The German government entrusted its colonial venture to a private company, the Neu Guinea Kompagnie. The company expected to make enormous profits by transforming New Guinea into a thriving plantation economy where German settlers could acquire land and labour at cheap prices from the docile indigenous inhabitants. The scheme did not work as planned. The invasion of settlers did not eventuate and the labour was frequently unwilling. Some people also objected to their land being taken. Villagers were brought into line by punitive expeditions mounted by the company. Death from disease was frequent. The company did not make profits, and in 1899 privatised colonialism gave way to the public administration of the imperial German government. There was far more money available in the public coffers to pursue the German colonial dream of white dominance and prosperity based on black subjugation and servitude. German influence and control, previously enforced by the punitive expedition, was extended by, building new government stations in New Ireland, Bougainville, Rabaul, and on the mainland. From these stations armed patrols pacified the local peoples. The government appointed New Guinean men as luluais, to be its official representatives in the village. One of their major responsibilities was to ensure that there were ample supplies of labour for the plantations and government construction projects, such as the 100-kilometre Bulominski highway in New Ireland. Force was applied wherever necessary to remind the natives that the Kaisers men were in command: public hanging to dissuade people from tribal fighting; corporal punishment to make the labour line work harder; and the most severe retribution for any Europeans injured or killed. Death from disease or harsh conditions was common on the labour line. The German governor, Hahl, estimated that, of the 100 000 people recruited in the colony up to 1913, approximately 25 000 had perished while still under contract. The imperial administration had made considerably greater progress than the Neu Guinea Kompagnie in fulfilling the objectives of German colonial policy in New Guinea. By 1913 plantation-owners had taken possession of 180 000 hectares but were cultivating only 20 per cent of that area. Coconut production for copra predominated. Over 8000 people were employed by Europeans, although planned economic expansion called for a doubling of this number in the very near future. Government control had expanded, while missionaries made civilising inroads even further afield. The towns and government stations had a grace and splendour which contrasted with the ugly tin-roofed buildings of Port Moresby. Many of the indigenous people with whom the Germans had contact now co-operated, largely because of the colonists ruthless efficiency in the use of force, but sometimes because advantages were to be gained. However, most of the inhabitants of Kaiser Wilhelmsland (the mainland) had no contact with or knowledge of the Kaiser and his representatives. While the Germans had good footholds in New Ireland and in the Gazelle Peninsula of New Britain, on the mainland they were strung out in a long, thin and broken line around the coastal fringes. After all there were only about 1200 white residents of German New Guinea when the Australian Expeditionary Force landed in Kokopo on 11 September 1914 to prosecute the great European conflict on Papua New Guinean soil. But even in this brief and largely ritualistic episode of war it was the indigenous population who suffered the greatest loss of life: one German, six Australians, and thirty New Guineans who had fought with the Germans. Meanwhile, the reluctant British colonists to the south demonstrated little interest in their newly acquired piece of empire. The British did give a steamship to aid administration but the cost of running the colony was dumped on the Australian states, who immediately established a tradition of tight-fisted funding which lasted until the Second World War. Despite its miniscule size, the white administration succeeded in extending its area of authority, but, as in the north, the populations of vast tracts of land remained entirely unaffected. While pacification by persuasion was preferred, the use of force to subdue native populations was also employed. An Armed Native Constabulary greatly facilitated this task. A further aid was the appointment of Village Constables. These men, sometimes clan leaders, were given no power but were expected to be intermediaries between patrolling government officers and villagers. The development of a colonial economy proceeded at a snails pace. Plantations were few and far between, but small numbers of prospectors tried various places in their search for gold. The demand for indigenous labour was consequently much less than in German New Guinea. Colonial officials seemed to have negligible interest in building a dynamic economy aimed at satisfying the industrial worlds demand for raw materials. Governments in Britain and Australia appeared to have even less inclination for promoting such a state of affairs. Britain was, in fact, active in trying to divest itself of this unwelcome addition to its colonial possessions. Eventually, in 1906 the Australian Parliaments Papua Act came into force, and relieved Britain of its colonial burden, changing the territory's name from British New Guinea to Papua. Australian uncertainty over what to do with the territory led to the appointment of a royal commission in 1906. This body argued that a vigorous policy of white settlement was the way forward. Australians could grow a variety of tropical crops and Papuans could supply the land and labour. The coming of inter-tribal peace, said the commission, meant that the native men no longer had to attend to the time-consuming business of warfare, and with no substitute were sinking into conditions of peaceful sloth The discipline of civilising labour on plantations, roads and ports would be the ideal antidote to this moral blight. At first there was a rapid expansion of the area under lease and cultivation to hopeful white planters. But the highly profitable crops identified by the commission did not produce the anticipated financial returns and the plantation economy stagnated in terms of both area and output at a level far below that of New Guinea. This turn of events did not unduly disappoint Sir Hubert Murray, the long-serving (1906-40) Lieutenant-Governor of Papua. While he believed that the habits of industry as practised on the plantation labour line could be of considerable civilising benefit to the Papuans, he also adhered to the view that one of his most important responsibilities was the paternalistic protection of the indigenous population. Although Sir Hubert Murray seems to have had his way on most things, he failed to secure the amalgamation of Papua and New Guinea into one administrative territory at the end of the First World War. Papua continued as an Australian protectorate, while Australia ran New Guinea under a mandate from the League of Nations. The two territories have been described as being almost like foreign countries. The public services were recruited separately, and white residents of each territory kept their distance on ships travelling to and from Australia. Papuans and New Guincans needed official permission to cross the border, while two lingua francas developed: Tok Pisin in New Guinea and Police Motu in Papua. This separateness can be seen today in political rivalries and in the absence of roads linking the former territories. During the inter-war years Australia exhibited very little interest in its colonial possessions. Papua functioned on a pittance, while New Guinea escaped from penury only because of the income it gained from the Wau-Bulolo goldfields. The government in Australia wanted a cheap, trouble-free Papua and New Guinea. The territory's major purpose from the Australian point of view was to act as an inert shield against aggression from the north. With such a perspective dominating the thinking of politicians and bureaucrats in Australia, it is not surprising that ignorance about Papua and New Guinea was so profound. While the maintenance of the inert shield was deemed important, it was believed that minimal sums were needed for its upkeep and development. Indicative of this attitude of ignorance and indolence was the fact that between 1928 and 1941 thirteen different ministers heading eight different departments took care of Papuan and New Guinean matters as an incidental chore The management and future of Papua and New Guinea were of peripheral concern in the Australian capital. Yet the minister for territories had sole responsibility for more people in Papua and New Guinea than were in any of the Australian states except New South Wales and Victoria. The pre-war era in Papua and New Guinea was one of colonialism without capital. As Donald Denoon, former professor of history at the University of Papua New Guinea, has argued, Papua and New Guinea did not suffer from ruthless capitalist exploitation. Indeed, Papua and New Guinea were not exploited sufficiently for capitalism to develop. With the exception of the Wau-Bulolo goldfields, the territories simply failed to attract a large slice of the international capital, which financed plantations and other business ventures in south-east Asia, and even Fiji. This is not to deny that there were plantations and businesses. But the plantations, the major employer, were characteristically inefficient and labour intensive. Labour was certainly recruited in large numbers, but one estimate places under 10 per cent of the indigenous adult male population in formal employment in 1939. Export earnings were worth a mere 4 million Australian pounds, with 3 million of those coming from enclave gold mining in the Wau-Bulolo area. Roads were few, poorly maintained, and none extended more than 50 kilometres inland. German colonists and royal commissioners had dreamed of a dynamic white capitalist economy springing from the rich tropical environment of Papua and New Guinea. The dream failed to materialise and the Australian government had more important things to do than devote its energies to economic development in Papua and New Guinea. Another result of Australian indifference was that the territorial public services in large part were left to their own devices in determining a style of administration for Papua and New Guinea. Australia had no experience of governing overseas territories and so had no philosophy of colonial administration and body of practice as existed in Britain, France or Holland. But a similar modus operandi was soon developed in both territories. The prime objective was to bring pax Australiana to the indigenous populations. This involved the eradication of inter-group warfare and the imposition of Australian law, both of which facilitated labour recruitment for the inefficient plantations and harsh goldfields. Derisory amounts of money were devoted to native health, education or economic advancement, as these items did not figure in the inter-war perceptions of what colonial administration should be about. Lord Hailey, a member of the Permanent Mandates Commission of the League of Nations, believed that what Australia had developed in Papua and New Guinea was a benevolent type of police rule. This benevolence was delivered via the kiap system, a kiap (Tok Pisin corruption of the word captain) being a government official who was based at a government station, from whence he explored, patrolled, reported, and delivered justice. The achievements of these men were remarkable whether one views them as adventurers, semiprofessional administrators, or petty tyrants. Just before the Japanese invasion there were only 150 kiaps governing three-quarters of a million people. The kiaps, relying heavily on their native police as intermediaries and enforcers, did bring large areas under pax Australiana, although for most Papua New Guineans the kiaps control was both superficial and sporadic. Villagers in more remote areas would only see the patrolling kiap every few years, while many others still had to learn of his existence. The arrival of the Second World War in Papua and New Guinea was a rude shock to the colonial status quo Six thousand Europeans were replaced by hundreds of thousands of Asians and Europeans waging war on each other with the most advanced technology of death and destruction. The Japanese enjoyed early success in the New Guinea islands and on mainland New Guinea, but found the tables turned after the Battle of the Coral Sea in 1942. They failed to take Port Moresby, and spent the remainder of the war either retreating or suffering enormous casualties, or both. The war had no effect on approximately one-third of the Papua New Guinea population. For the rest, the impact was differentially felt, a common experience throughout the countrys history. In areas where there was Japanese occupation and intense fighting, such as Milne Bay or the Gazelle Peninsula, the local population inevitably suffered. Hunger and malnutrition came from the destruction of food gardens or the commandeering of vegetables and livestock by soldiers. Death came from deliberate or accidental killings at the hands of the military. In some places, populations declined by as much as 25 per cent. Other villagers living outside the fighting zones were pressed into service as plantation labourers, carriers and other manual labourers. Conditions were frequently harsh, and of 55 000 Papua New Guineans officially employed by the allied army almost 2000 died of causes other than war wounds. The statistics from the Japanese side are unknown, but Papua New Guineans frequently worked under brutal regimes for their new Asian mastas. More than 7000 Papua New Guineans either enlisted in the Pacific Islands Regiment and M Special Unit (a group trained to carry out independent action in Japanese-occupied areas), or were members of the police forces involved in military operations. Almost 1000 men worked as medical orderlies. What is important for the post-war era are the impressions and ideas which people in Australia and in Papua and New Guinea derived from their wartime experience, and the ways in which these notions affected the philosophy, practice and perception of colonialism. 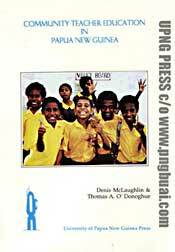 Papua New Guineans learned that foreigners were far more numerous and diverse than they ever imagined. Also they had technology of seemingly endless variation and accomplishment, while huge quantities of material goods revealed an astonishing amount of wealth. Some of the foreigners were black, and while they might not have enjoyed absolute equality with the whites they certainly acquired more of that wealth than Papua New Guineans had ever received. Many of the whites did not adopt the masta-boi relationship but treated Papua New Guineans as mates, equals, or at least with a respect previously unseen. Papua New Guineans could see that there were alternatives to the pre-war colonial order and that a better deal was possible. In pre-war Australia, knowledge of and interest in Papua and New Guinea had been negligible. Now, everybody had heard of Rabaul, Madang, Manus and many other battle-scarred places. They had also listened to reports of the bravery and skill of the fuzzy wuzzy angels, and on cinema newsreels had seen them in action helping wounded Australians. Everybody knew somebody who had seen service in Papua and New Guinea, and they all had a tale to tell. The inert shield had sprung to life in the eyes of Australians, who further acknowledged that they owed a debt to the fuzzy wuzzies This widespread belief ensured that increased government spending on Papua and New Guinea would not run into popular opposition. The realisation that Papua New Guineans had received shoddy treatment and deserved a comprehensive plan of social betterment was circulating in high political circles even before the war ended. Despite a rearguard action by old Territorians, there was no doubt that conditions in Papua and New Guinea would not revert to those of taim bipo (the time before). Change, however, was not rapid and radical in the immediate postwar war years. Gradual transformation was the order of the day, and paternalism was still to the fore. The territories were amalgamated under one administration, and direct funding increased more than tenfold compared to the impecunious taim bipo. Labourers wages were raised, and the advancement of the native inhabitants was declared a major objective by the minister for external territories. Yet improvements in welfare were slow in coming. The pace of economic development was similar. But this was to be expected in a war-shattered colony where the administration had never previously bothered to bring development to the native population. There had been no departments of health or education before the war, while the few agricultural officers serviced white-owned plantations. Ninety-five per cent of the population was illiterate. Virtually no Papua New Guineans owned businesses, and indigenous production of cash crops was miniscule. The old planters and traders attempted to obstruct change whenever possible, while the strategic importance of Papua and New Guinea was still the most important consideration for Australian policymakers. Australian security was paramount. As the end of the 1950s approached, the idea of independence for Papua and New Guinea, if anybody thought about it, was so far in the future as to be irrelevant. In the 1960s the pace of change increased. The public service exploded in size from under 4000 in 1960 to over 20 000 by the end of the decade. While two-thirds of employees were Papua New Guineans, expatriates occupied all of the middle and upper level posts. Friction began to develop as trained Papua New Guineans moved up the administrative hierarchy but found that their expatriate counterparts, received more than twice their pay. The provision of government services and the extension of government control proceeded apace. The Highlands, largely unknown before the war, were opened up by new government stations, patrols, airstrips, and especially the Highlands Highway, gradually linking the major centres in the populous mountain provinces. Large investments in the health services had a profound impact, reducing the incidence and effect of disease, raising life expectancy and reducing infant mortality. Aid posts staffed by Papua New Guinean paramedical workers were important in bringing health facilities to far-flung rural populations, and were in operation before Chinas barefoot doctors achieved fame. Education produced less spectacular results. In 1960, 75 per cent of school age children were still not attending primary school, and most of those who did had the missions to thank for their education. Secondary education in the territory was virtually non-existent. Even technical education was neglected, with only 300 Papua New Guineans in government or mission technical schools. By the end of the decade total school enrolments shad increased fourfold, and a university was operating. But there was still a long way to go. For example, in 1969 there were still only 10 600 students enrolled in secondary education, under 5 per cent of the age group. Capitalism also gained momentum. In the Highlands, coffee production expanded rapidly, especially among small-scale Papua New Guinean producers. Elsewhere, plantation and smallholder production of other export crops, such as cocoa and copra, was growing. Agriculrural extension agents [emphasis added], known as didiman, were employed to facilitate the process. Papua New Guineans were making their first forays into commerce with trade stores and transport companies. However, it was government expenditure that provided the major impetus to economic growth. Each year the Australian government pumped in more money, thus boosting employment and income and increasing public investment in infrastructure. This stimulated market demand, resulting on the one hand in the expansion of local commerce, manufacturing and construction, but on the other, in an escalating import bill for a wide range of goods, including food. Most of the money circulated among the white expatriates. For the great majority of the population, economic life continued to focus on subsistence production. The World Bank visited the territory for the first time in the mid-1960s, and noted that eighty years of colonialism had produced a small money economy but that the indigenous people were still for the most part, primitive. Economic development was still in its infancy but World Bank ethnocentricity was well advanced and it recommended continued advantages for the whites. During the 1900s the pace of political change accelerated. But at the beginning of the decade the pace was leisurely and the road to self-government stretched well over the horizon. Local government was the first official experiment in bringing democratic Western-style institutions to the indigenous population. By 1965 seventy-eight councils were functioning, while in 1969 there were ninety-three covering 85 per cent of the population. Critics have, however, argued that the elected representatives of the people did not really exercise power but that white kiap advisers really ran the show. Some discriminatory legislation which affected Papua New Guineans was also repealed during the decade. The most celebrated casualty was the law preventing Papua New Guineans from drinking alcohol. This disappeared from the statute books in 1962. Part of the initiative for such moves came from the Legislative Council, the body responsible for passing laws in the territory. Established in 1951, it had a majority of official members from the administration and a token Papua New Guinean membership of three. In 1961 non-official elected members became the majority and Papua New Guineans numbered seven -- still a minority, always speaking briefly, and not constituting a threat to white rule. The progress of gradual change, inching ahead to self-government at some indeterminate but distant future, was rudely challenged by the arrival of the United Nations Visiting Mission in 1962. Sir Hugh Foot, the leader of the mission, wanted to see much greater devolution of authority, real power going to Papua New Guineans, the prompt establishment of a House of Assembly elected by all adults, much greater efforts in higher education so that expatriates could be replaced by Papua New Guineans, and the creation of a responsive system of local government Even given the new deal of the post-war era in Papua and New Guinea, this was radical stuff. It was, some said, absurdly unrealistic. But in a global context where decolonisation was forging ahead, it was merely representative of its time. Perhaps it was the mission or perhaps it was the Legislative Councils select committee working independently, but a House of Assembly was rapidly added to the territorys political institutions. Most Papua New Guineans had had no experience of formal elections when the candidates stepped forward for the 1964 poll for the House of Assembly. Parties did not exist, and national issues were of no concern to the voters who wanted their man to go to Port Moresby and bring back development for them. Although official members still dominated the sixty-four-seat House, thirty-eight Papua New Guineans were elected. The excerpts from the original print version of Papua New Guinea: the challenge of independence © 1980, by Mark Turner, are provided on www.pngbuai.com with the author's kind permission and the work of Dr. John Evans and the staff at UPNG Press and the UNPG Bookshop in their efforts to provide access to hard to find books and articles about Papua New Guinea.